Between December 16, 1944, and January 15, 1945, American forces found themselves entrenched in the heavily forested Ardennes region of Belgium, France, and Luxembourg defending against an advancing German army amid freezing temperatures, deep snow, and dense fog. Operation Herbstnebel --Autumn Mist-- was a massive German counter-offensive that stunned the Allies in its scope and intensity. In the end, the 40-day long Battle of the Bulge, as it has come to be called, was the bloodiest battle fought by U.S. forces in World War II, and indeed the largest land battle in American history. Before effectively halting the German advance, some 89,000 of the 610,000 American servicemen committed to the campaign had become casualties, including 19,000 killed. The engagement saw the taking of thousands of Americans as prisoners of war, some of whom were massacred by the Waffen SS -- but it also witnessed the storied stand by U.S. forces at Bastogne as German forces besieged the region and culminated in a decisive if costly American victory. Ordered and directed by Hitler himself --against the advice of his generals-- the Ardennes offensive was the last major German offensive on the Western Front. In the wake of the defeat, many experienced German units were left severely depleted of men and equipment. 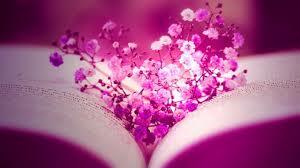 Its last reserve squandered, these irreplaceable losses would hasten the end of the war. 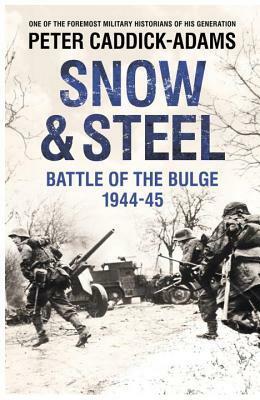 In Snow and Steel, Peter Caddick-Adams draws on interviews with over 100 participants of the campaign, as well as archival material from both German and US sources, to offer an engagingly written and thorough reassessment of the historic battle. Exploring the failings of intelligence that were rife on both sides, the effects of weather, and the influence of terrain on the battle's outcome, Caddick-Adams deftly details the differences in weaponry and doctrine between the US and German forces, while offering new insights into the origins of the battle; the characters of those involved on both the American and German sides, from the general staff to the foot soldiers; the preparedness of troops; and the decisions and tactics that precipitated the German retreat and the American victory. Re-examining the SS and German infantry units in the Bulge, he shows that far from being deadly military units, they were nearly all under-strength, short on equipment, and poorly trained; kept in the dark about the attack until the last minute, they fought in total ignorance of their opponents or the terrain. Ultimately, Caddick-Adams concludes that the German assault was doomed to failure from the start.